such lovely things: San Francisco, I love you! Now, if you were to ask me what I loved most about San Francisco, my answer will always be "my best friend lives there"! Since you're about to visit, you would also ask me what you should see whilst you're there, and that would be trickier to answer. 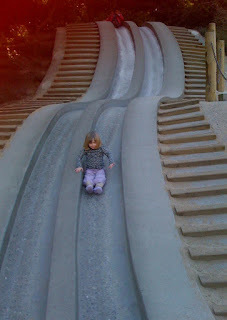 There are so many great things to see and do whatever time of year you visit. To be honest, though, I could happily do nothing more than hang out with my BFF drinking lattes and martinis (not at the same time, I hasten to add), but that's not so helpful, is it?! Golden Gate Park : take a stroll (or run!) through the park, breathe in the smell of eucalyptus, catch a glimpse of Tai Chi in action, soak up the sun through the trees and enjoy! 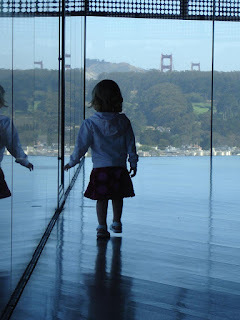 For a bit of culture (and a great view over the city & Golden Gate Bridge) head to the De Young museum and up to the viewing level. Amazing, every time! 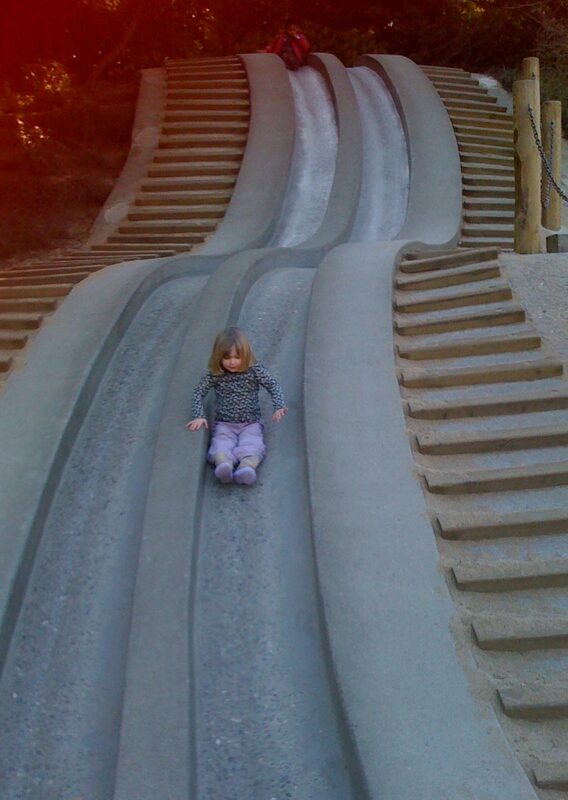 There's also a fantastic slide in the Koret Children's Quarter, as well as lots of other fun stuff. Coit Tower : another great spot for fabulous views of the city. It's so calm up here, I love it. And if you do go, just imagine a limousine trying to get around that tiny roundabout, getting stuck & having to offload its passengers! Yup, that was me on my bachelorette party! 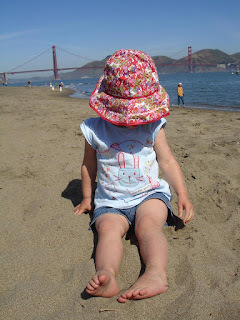 Crissy Field : a view of the bridge, a walk in the sand, just lovely. Now part of the Golden Gate Recreation Area, this used to be a military airfield. Hard to imagine that now. Alcatraz : no really, trust me, it's REALLY worth it! I'm not really one for doing the tourist trail, but a trip out to Alcatraz is, honestly, good. Make sure you get the headphones for all the gory sound effects! And,make sure you book early - everyone wants to visit Alcatraz. Downtown (Union Square, Market Street) : I love the hustle and bustle of Downtown SF, the high rise buildings, the sound of people and cars and fire engines (boy, are they LOUD!). You can get everything downtown - from a Tiffany necklace to Ghiradelli chocolate, designer stores like Coach, Kenneth Cole, Kate Spade - and Old Navy! 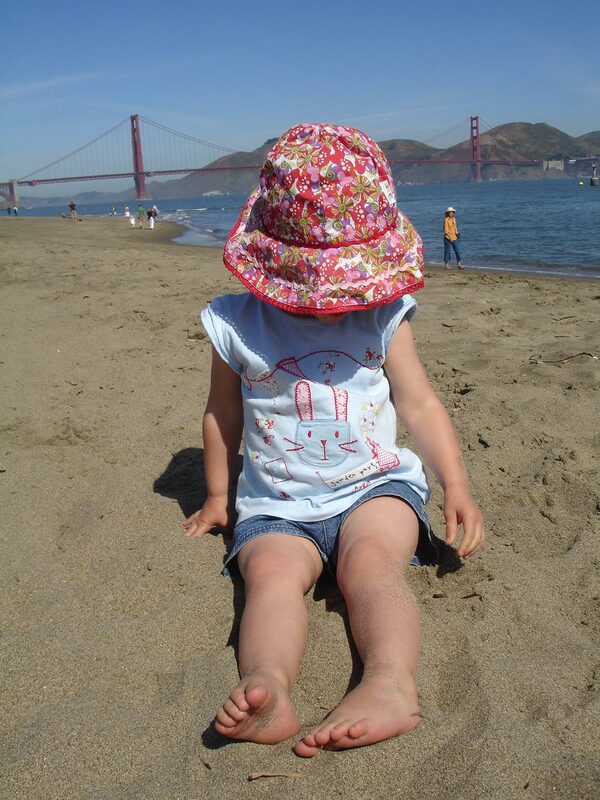 If you get a chance to head out of town, pop over to Berkeley or take the ferry to Sausalito. If you can, take a trip to the gorgeous town of Sonoma. If nothing else, it'll be a good excuse for wine-tasting. Blowfish Sushi (on Bryant Street). I love sushi but still don't know how to order! Hence I have to go with my BFF who does know how... Oh and it's worth visiting for their cocktails alone! Humphry Slocombe ice cream : oh my, this is the best ice cream (apart from my own salted caramel of course) and the flavours are just ace! There are now three locations in the city. You really should check them out. Mel's Drive-In : because, well, you just have to! A good ole American diner with several restaurants throughout the city. Super Duper Burgers : again, there are several of these throughout the city. I like the one on Chestnut Street as it is good sustenance to aide the shopping spree!! Toy Boat Dessert Cafe : No website but you can find this cute little place on Clement Street in the Richmond District. I have fun memories of this place (& still have a t-shirt somewhere in the back of the cupboard). On my next trip, I'm going back just to update my memories (I'm told the desserts are STILL good some twenty years later!). Those of you who know me well won't be surprised by this list...for those of you who don't, I love shoes, handbags, paper, pens, craft supplies, homeware (especially little bowls!!). This list is by no means exhaustive, it's just MY list! Ambiance : a lovely boutique in Noe Valley or Chestnut Street selling goregous clothes, shoes and handbags. What's not to love!? Crate and Barrel : a big US chain but nonetheless I love it. I'm reminded of the Habitat of old. Paper Source : the American equivalent of Paperchase. For those who know me well, I don't need to say anything more! Plus it's got so many craft supplies I could spend hours there. Oh yes, I did, didn't I?! Books Inc : Another place to get lost in. Book shops are just ace anywhere in the world. This one, also on Chestnut Street, carries a wide range of beautiful books. Trader Joes : Sad but true, I love looking in supermarkets when I'm overseas. Jo! What a lovely tribute to our fantastic city. You hit the nail on the head. I must also reccomend Lands End for a walk or run! 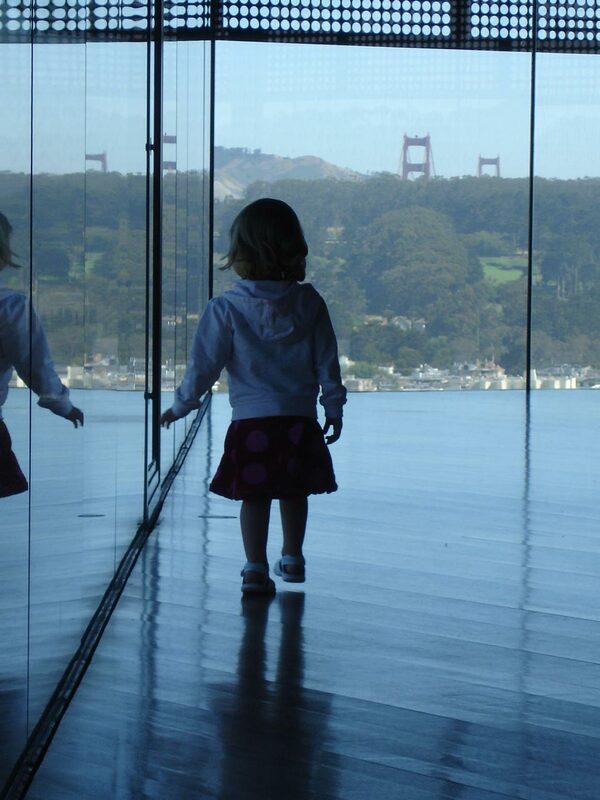 The BEST Golden Gate Views anywhere in the city. I hope to see you this time on your visit to Kate!! PS....I love the models in the pix! Hopefully you'll be around this time when I'm over and we can get a drink together someplace. That'd be good. I can't wait to be in SF again.